Nashville's Lambchop have been making alt-country, neo-soul, indie-rock records for over ten years now. 'Aw Cmon', their eighth release, contains lush instrumentals, rousing rave-ups, & thoughtful ballads. This record is coupled with its companion, 'No You Cmon'. While the albums aren't dramatically different in style, they do serve as a conceptual call & response to each other. Whether enjoyed as a set or as two completely different pieces, Lambchop have created two of the most diverse & creative albums of their illustrious career. Exclusive European pressing features both albums each packaged in a standard jewelcase & housed in a slipcase. An odds-and-sods collection assembled after John Bonham's death, Coda is predictably a hit-or-miss affair. The best material comes from later in Led Zeppelin's career, including the ringing folk stomp of "Poor Tom," the jacked-up '50s rock & roll of "Ozone Baby," and their response to punk rock, the savage "Wearing and Tearing." The most distinctive thing about Double Fantasy, the last album John Lennon released during his lifetime, is the very thing that keeps it from being a graceful return to form from the singer/songwriter, returning to active duty after five years of self-imposed exile. As legend has it, Lennon spent those years in domestic bliss, being a husband, raising a baby, and, of course, baking bread. Double Fantasy was designed as a window into that bliss and, to that extent, he decided to make it a joint album with Yoko Ono, to illustrate how complete their union was. This 4-CD box is a collection of four thematic collections. Breaking any artist's work into themes is tricky, but the topics here are broad enough to give the compilers some wiggle room: WORKING CLASS HERO contains Lennon's protest songs, WOMAN his songs of love and women, BORROWED TIME features songs about "life," and his rock & roll numbers are presented on a disc called ROOTS. Some of the selected songs may not quite fit the themes but the 72 cuts here contain much of Lennon's solo best, making this a good thorough overview for those who need more than the hits but don't want to invest in full albums. The sessions for 1980's Double Fantasy were supposed to yield two albums, the second to be released at a future time, but Lennon's assassination tragically halted the project in its tracks. A bit over three years later, Yoko Ono issued tapes of many of the songs planned for that album under the title Milk and Honey, laid out in the same John-Yoko-John-Yoko dialogue fashion as its predecessor. Not unexpectedly, it's a rougher, less polished product, lacking the finishing touches and additional takes that Lennon most likely would have called for. Nevertheless, Lennon's songs at this point in their development were often quite strong, tougher than those on Double Fantasy in general, and the ad libs and studio chatter that might not have made the final cut give us more of a glimpse of Lennon's delightfully quirky personality. After the hostile reaction to the politically charged "Sometime in New York City", John Lennon moved away from explicit protest songs and returned to introspective songwriting with "Mind Games". While the best numbers are among Lennon's finest, there's only a handful of them, and the remainder of the record is simply pleasant. But compared to "Sometime in New York City", as well as the subsequent "Walls and Bridges", "Mind Games" sounded like a return to form. In the five years following the break-up of the Beatles, John Lennon established himself as a critically and commercially successful solo artist in addition to dealing with a number of private and public tribulations. Lennon eventually released ROCK 'N' ROLL, a batch of covers ranging the gamut of early rock classics from the '50s and '60s. Lennon threw himself lovingly into this project that hearkened back to the simpler times of being a teenager smitten with the sounds of Chuck Berry and Little Richard (both of whom are represented on this record), light years away from any kind of political statements. One of Minneapolis' most popular '60s bands, the Litter are most well-known for their classic 1967 garage rock single "Action Woman." With its demonic fuzz/feedback guitar riffs and cocky, snarling lead vocal, it was an archetype of the tough '60s garage rock favored by fans of the Pebbles reissue series. The final album of the Lowell George era was a definite improvement over their previous two releases. The band seems to have recaptured a good portion of their early spark, despite the fact that "Down On The Farm" was in production during the group's April 1979 breakup and the loss of George two months later. 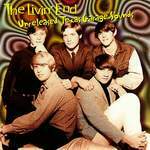 The Livin' End was a 1960s garage rock band from Abilene, TX, USA. They recorded numerous songs, but lacked the management that could get them signed to a label - hence, the group never issued a single during their reign from 1965 to 1968. Their material had been stored in the vaults and was finally compiled on the CD "Unreleased Texas Garage Sounds."